Here we go! The last class of the year for Live 2031 is a concert. Opening the Artaud Forum 2, students from MU2031 will present a concert of their work in a 1 hour performance showcasing some possible approaches to connect performance gesture with technology. 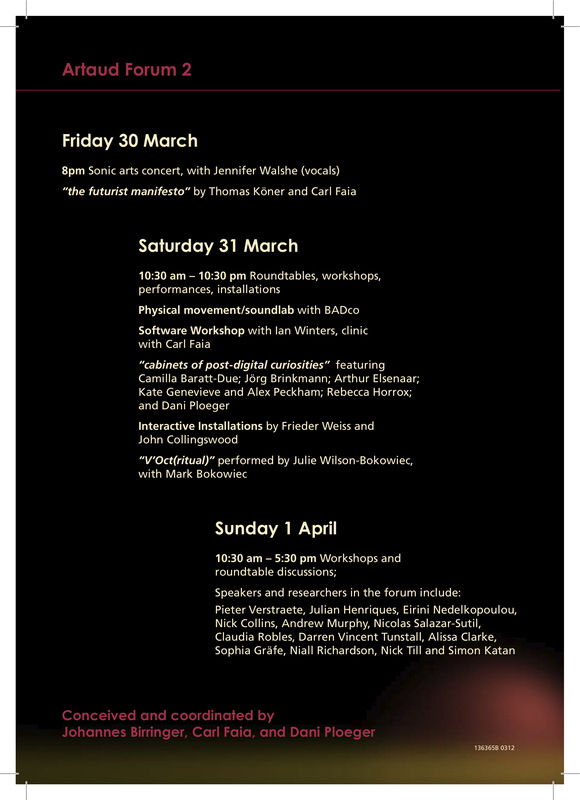 The Artaud Forum 2 will run throughout the weekend, starting at 8pm on Friday the 30th of March with the Live 2031 concert and special guest Jennifer Walshe (weaving her magical sound world throughout). Carl Faia and Thomas Köner, Futurist Manifesto, will perform something new for piano, video, live electronics and other doodads. 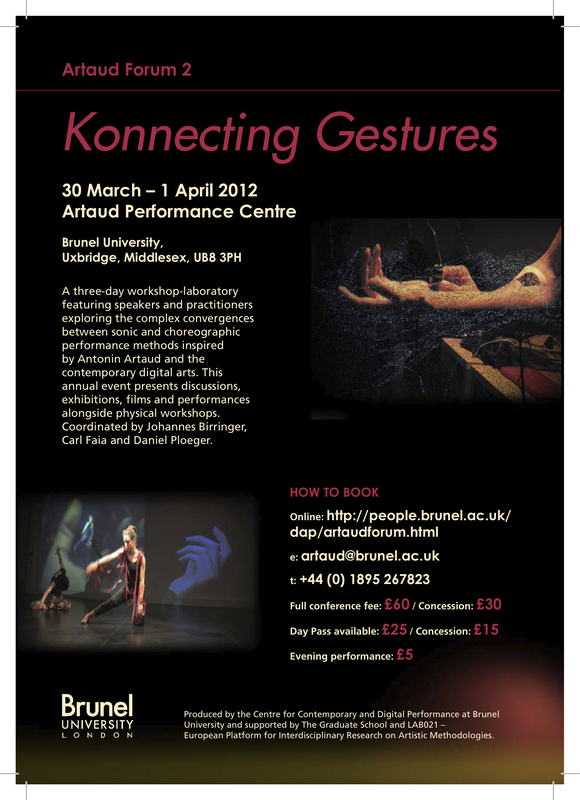 All kinds of goodies are planned over the weekend, craftily planned by Johannes Birringer and our new addition to the Brunel School of Arts, Daniel Ploeger. You can click here for more info and registering for the Forum or reserving tickets for the concert.